Halloween is here, it is celebrated in a big way in this part of the world. 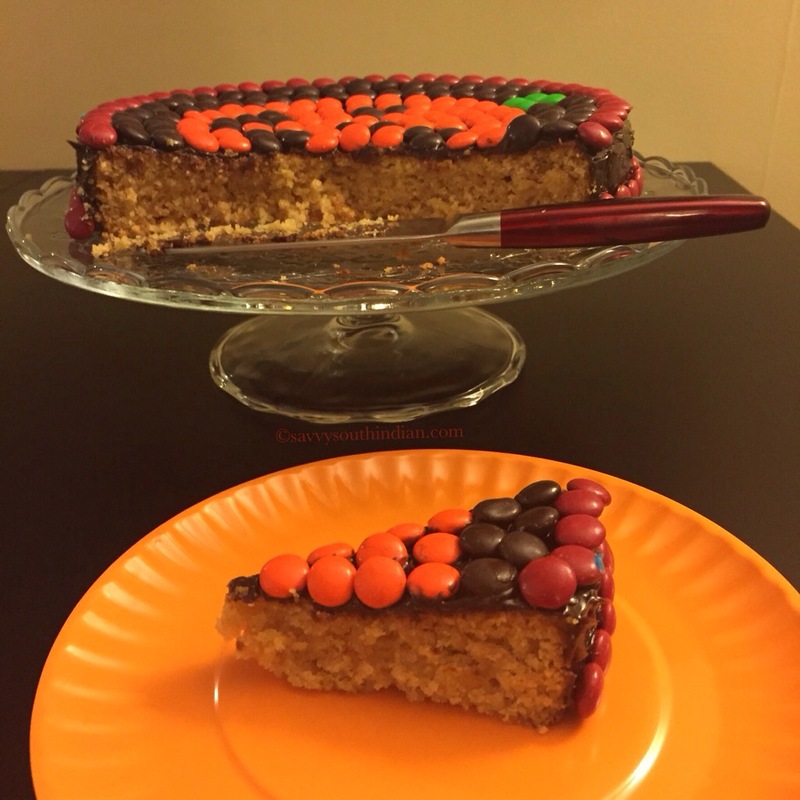 If you can’t find time or you are a person who waits until last minute to bake something for Halloween this cake is for you. 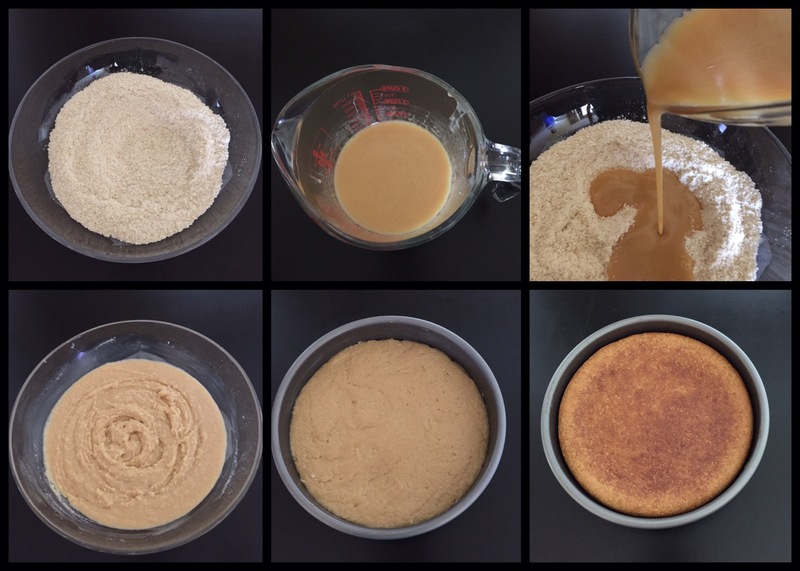 This cake is so easy to make with simple pantry ingredients and it tastes so yummy. It is eggless and gluten free too. We came up with this cake at the last minute and it just turned out great. 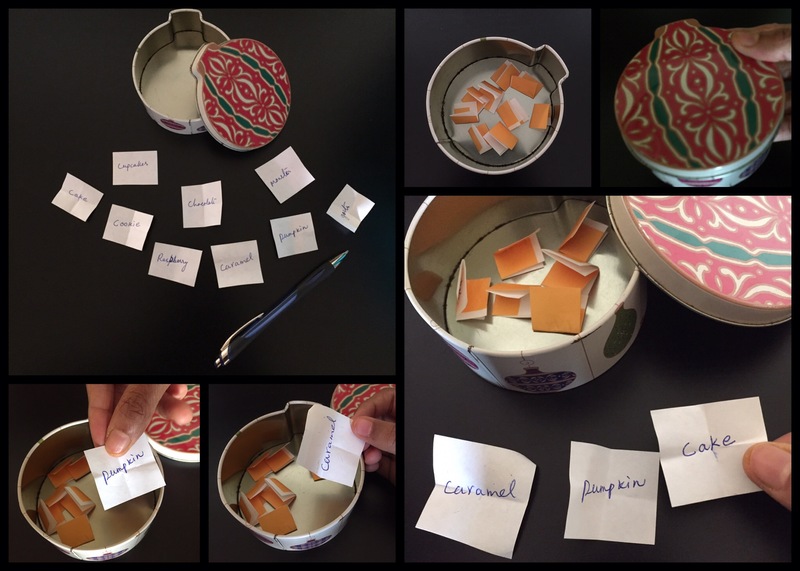 I love to bake with my kids, when it comes down to flavor and theme they never seem to agree so I came up with this fun game to please them both. We wrote all our favorites in tiny pieces of paper, folded it, put it in a box, shook it and each of us took one. 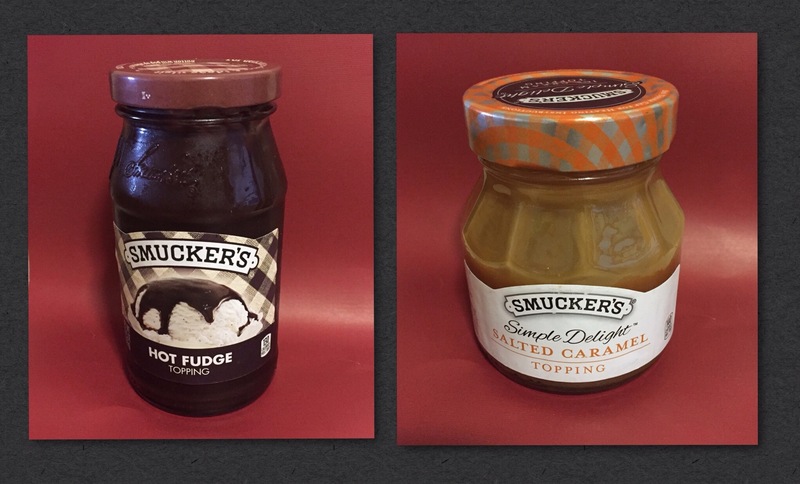 This is our pick, pumpkin-caramel and cake. This game actually challenges my baking skills too. 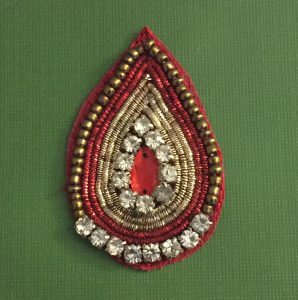 I had some ice cream toppings in the fridge which came in very handy for this project. 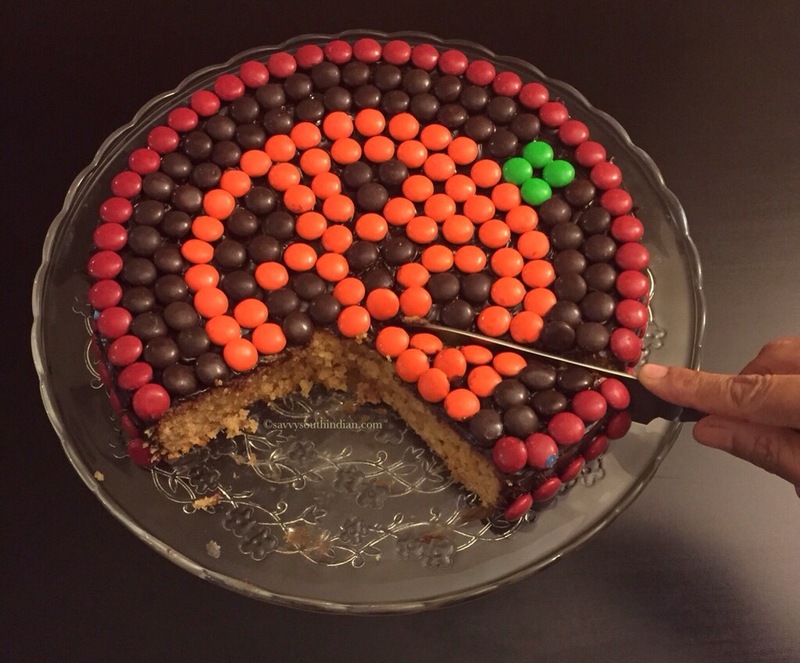 So we baked a pumpkin themed – salted caramel cake , how fun is that ! In a glass cup melt the butter and add the rest of the wet ingredients combine it well. Now add the wet mix to the dry mix and gently combine it with a spatula. The almond flour absorbs all the liquids and the batter tends to get thick , which is perfectly okay. Prepare the pan, butter the sides and put a parchment paper on the bottom. Pour the batter and smooth it out. 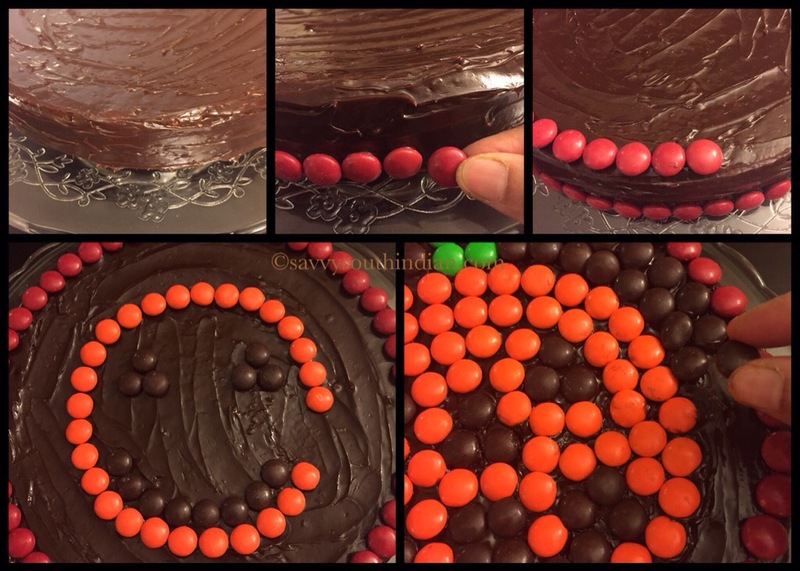 Let the cake cool completely before you take it out of the pan. Since we are frosting the cake with chocolate. I have a trick to keep the cake pedestal clean. 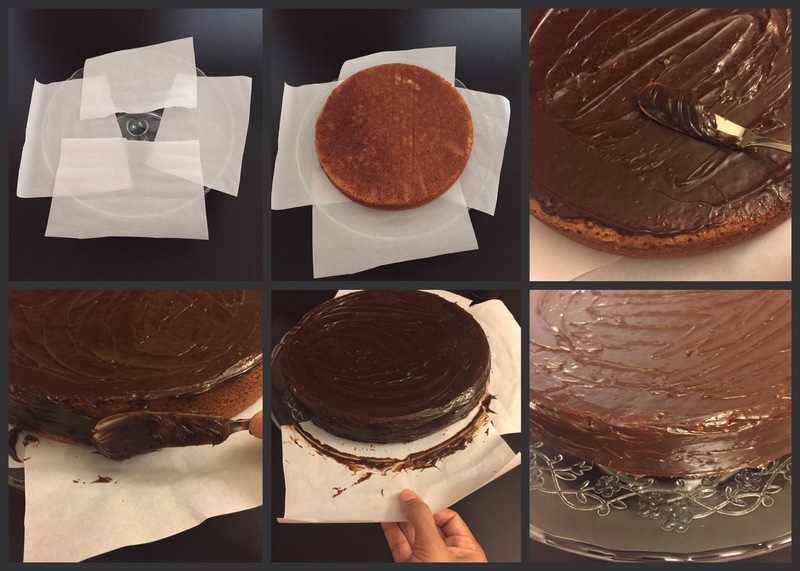 Put 4 pieces of parchment paper overlapping each other, like I have shown and then place the cake in the center. Once you finish frosting pull the paper out slowly. It comes out so easily, do this on all four sides. Look how clean the pedestal is ! How ingenious ! Now we have to decorate them. Since we picked pumpkin as the theme I’m going to decorate it as a Jack O’ Lantern (pumpkin with a scary face). I picked the m&ms that depict the Halloween colors. The cake looks amazing ! 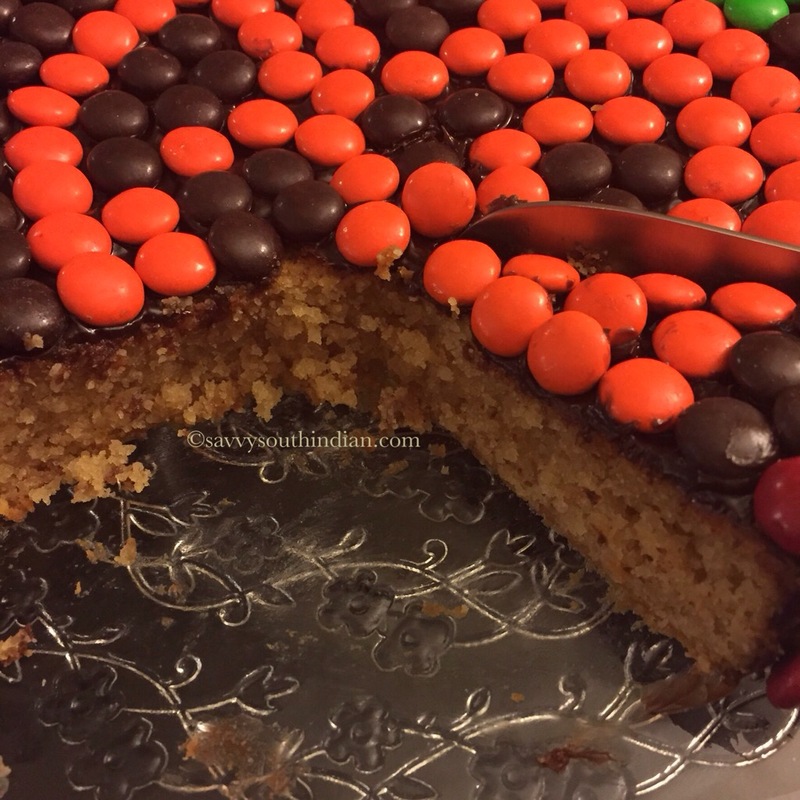 My kids were so happy to see this cake, even though they picked the flavors I baked this when they were in school so it was a big surprise to them. Nowadays, Salted caramel is added to so many things like popcorn, ice cream, coffee, smoothie, brownie and more. Since it is such a popular flavor it is favored by all. I was thrilled to use it in my cake. Now let’s cut a slice and taste it. Mmm Delicious love the salted caramel, tastes so good with almond and vanilla. The cake is so soft and fluffy. It has just the right amount of sweetness. I purposely made it that way otherwise the chocolate topping and m&ms will make it too sweet. 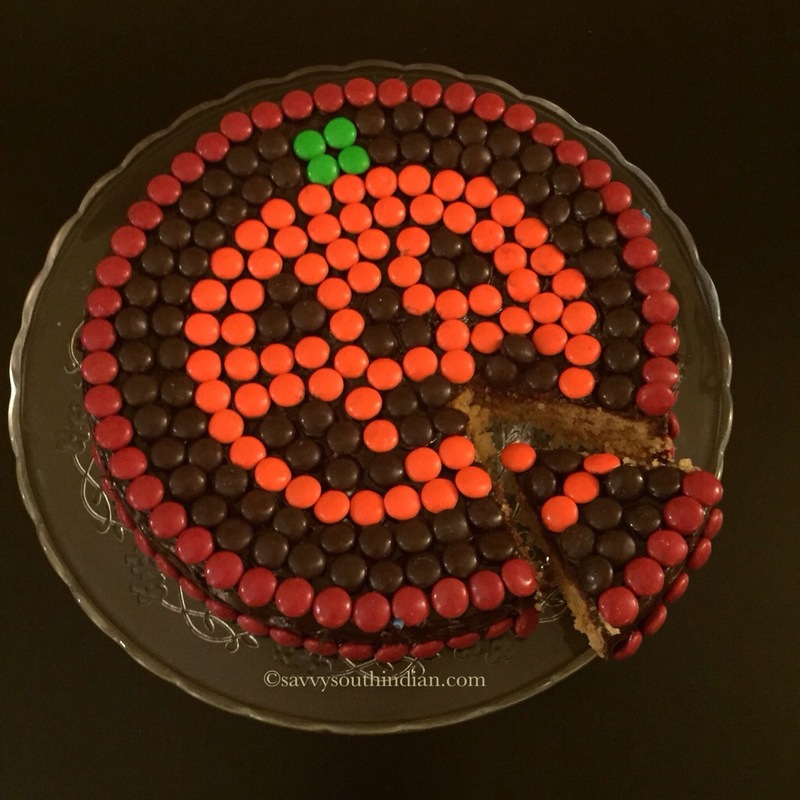 If you haven’t planned anything yet go ahead and make this yummy cake and surprise your family or guests. This rich almond cake tastes amazing and it’s truly a piece of art. 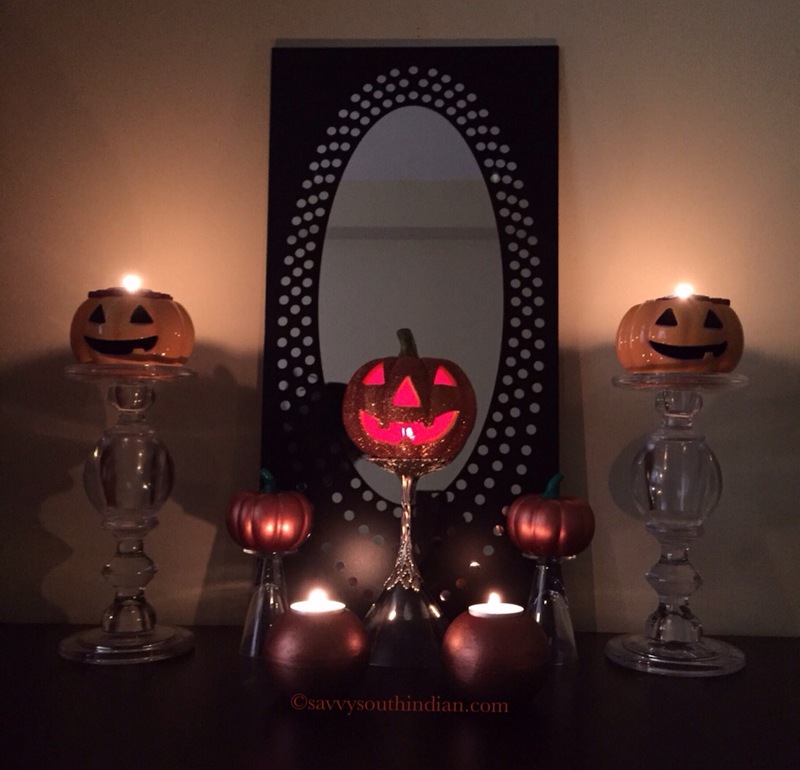 Read more to know about Halloween ! Why it is celebrated? How we celebrate it here in the U.S. 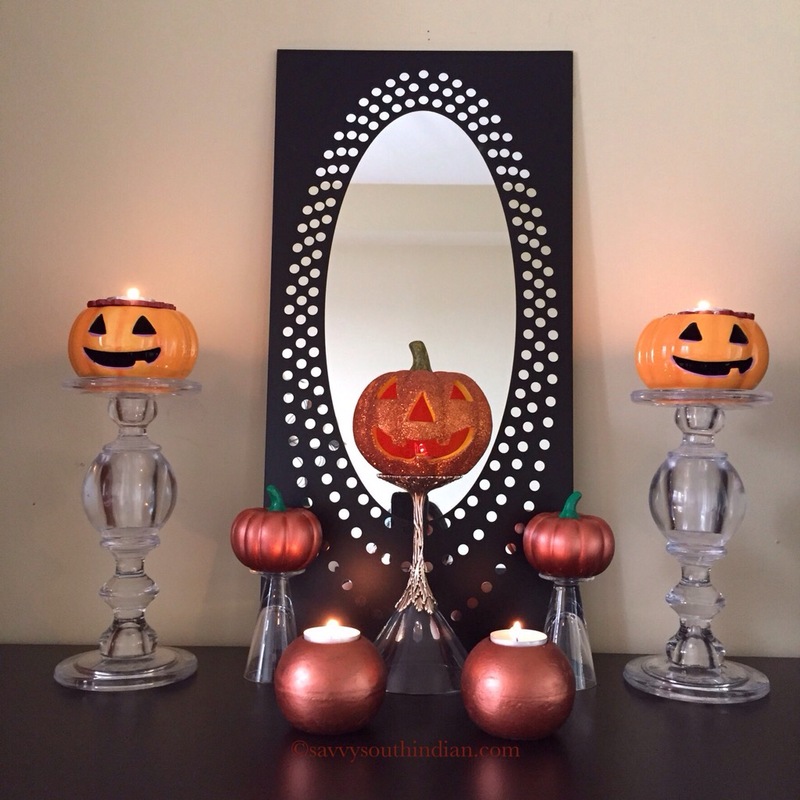 I have also shown some fun crafts and ideas for the Halloween display. Halloween is an ancient Celtic harvest festival celebrated on October 31, which marks the end of summer harvest and the beginning of the dark, cold winter. Celts believed that on this particular day the boundary between the living and the dead became weak and the ghosts came down to earth to haunt them. So on the last day of October they burned huge sacred bonfires to ward off the deadly ghosts. They wore animal headed costumes during this festival and gave sacrifices to please the ghosts of the dead. The Modern day Halloween is still a harvest festival, but has become a fun filled celebration especially for kids. They wear fun costumes and go for trick-or-treating. It is not only limited to kids, adults and pets dress up too. Houses are decorated in Halloween themes. It is the best time for pranks and scary movies. 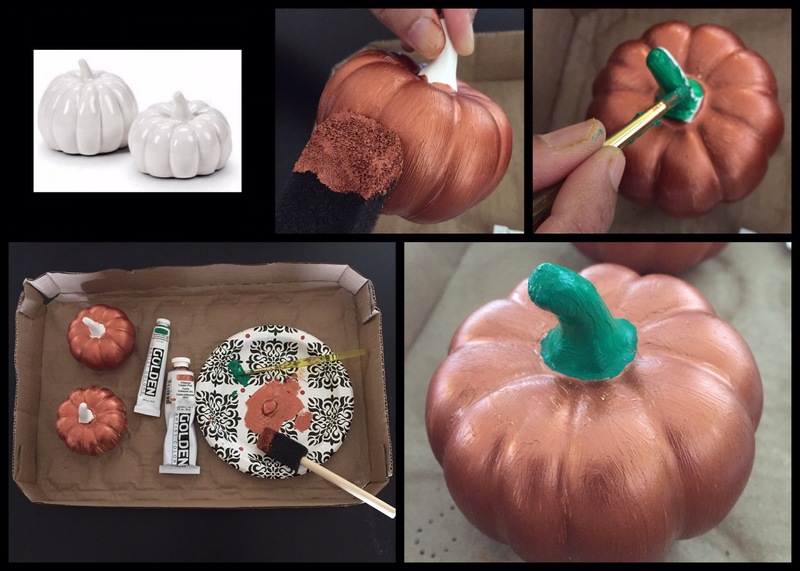 We found these mini white ceramic pumpkins, wanted to put our touch on it. So used some acrylic copper paint , it needed 2 coats, when the paint is half dry I used the brush to go over it to creat a texture and painted the stalk green. Look how real and cute they are ! This is our center piece for this year’s display. Schools here allow children to wear Halloween costumes but elementary schools only allow costumes like Disney princesses or super hero costumes , no props or masks are permitted where as the middle and high school kids are allowed to wear scary costumes and face paintings. All the teachers come in costumes too. They have a small parade around the school for which the parents are welcomed. Young kids go on school trips to the nearest farm to collect pumpkins and gourds, they get a special hay ride to the patch and they can pick any pumpkin they want. They get to bring them home carve it into a jack O’ lantern, paint it or display it just as it is on their window sill or the door step. These are my daughter’s pick, the gourd looks creepy and it fits the Halloween theme perfectly. We didn’t do anything with the pumpkin since she decided to display it as it is. 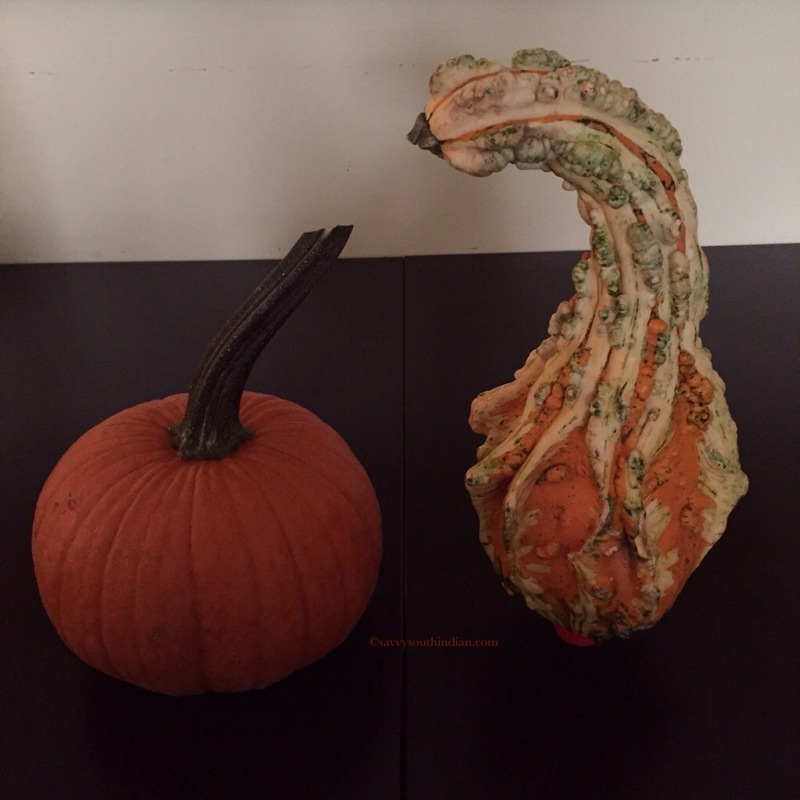 My little one did an excellent job picking this perfect pumpkin and the creepy gourd. She had a hard time carrying it though, but got help from her teacher. Management staff in our apartment building throws an awesome Halloween party for the kids. Days before Halloween we have to sign up and get a pumpkin sticker to put on our door, this means you are participating in the festivities. There are rules. Children can’t knock on the doors without the sticker this way tenants who are not participating won’t be disturbed. Outsiders are not allowed, this makes the whole event very safe for our kids. Children dress up as their favorite characters from the TV shows or the movies and bring a small basket to collect candy. They knock on your door, when you open they say trick or treat. It means you better give them a treat otherwise they will spook you with a magic. 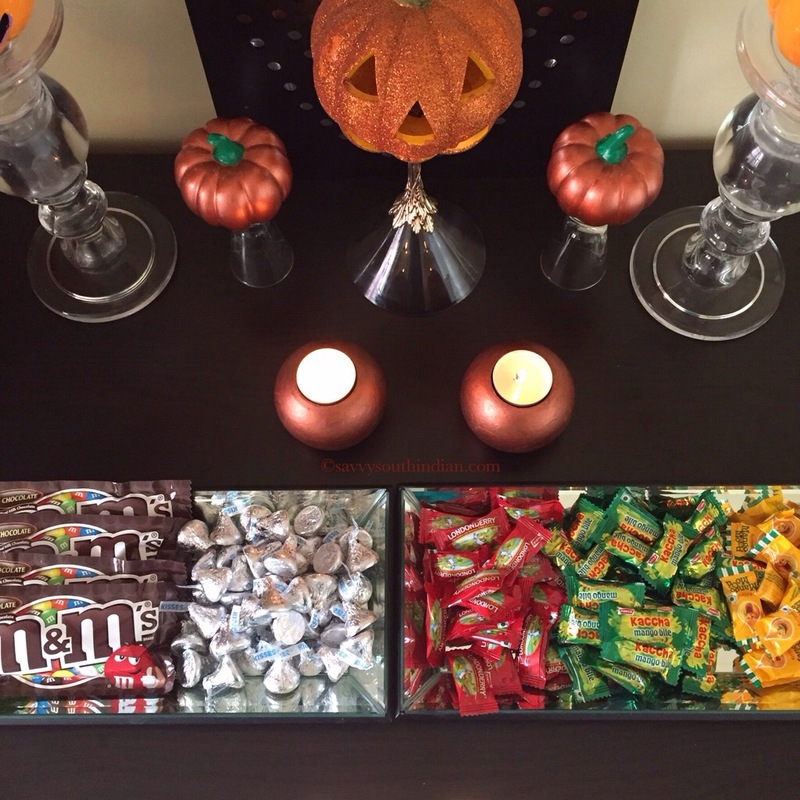 We buy lots of candy and be ready for this event. There are some rules you have to follow when giving out candy. Children under six should be given only soft treats like chocolates, for older kids you can give hard candies. We keep two separate trays to make the distribution easy. 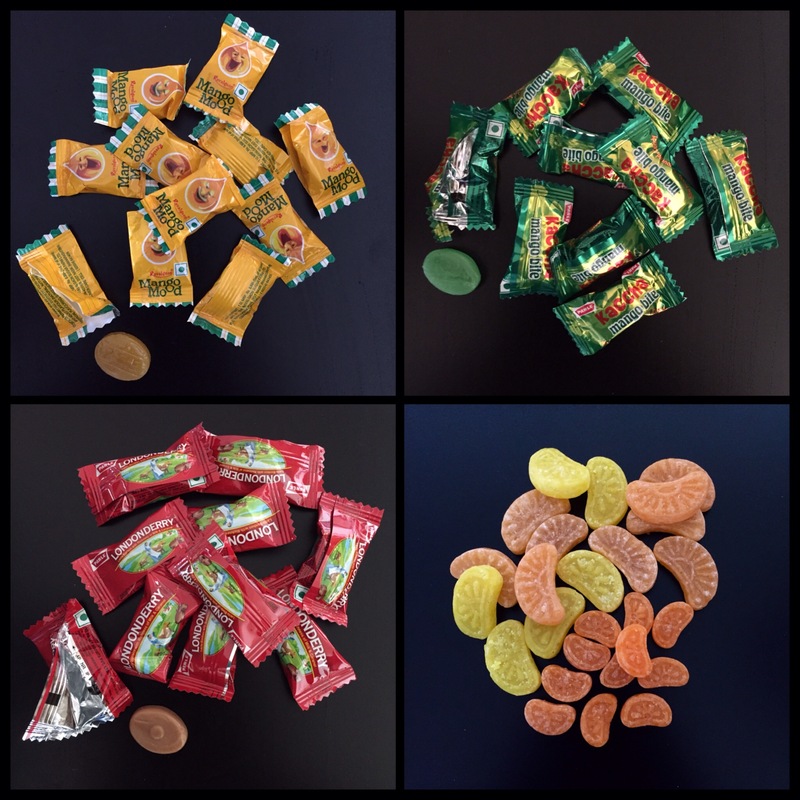 These are some of the nostalgic Indian candies we give out, which became a favorite among the kids. 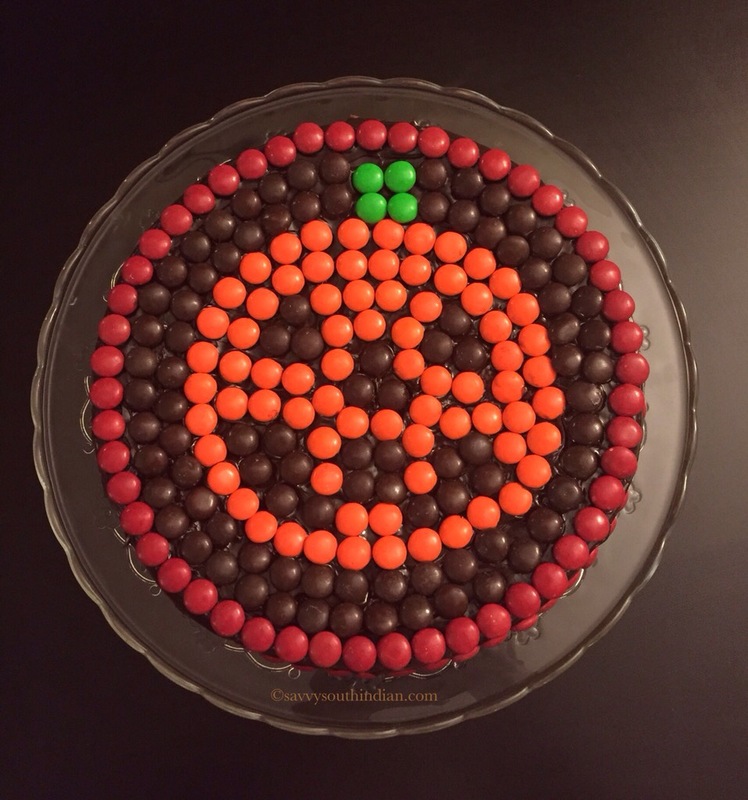 Orange and lemon candies – they have the shape and has the lemon and the orange flavor. It is sweet and sour and it comes in this mini size too, kids love this candy so we pack them in a small snack bag. Once they finish this activity, they gather at the community hall which is decorated in such a spooky way. First they serve dinner, it’s mostly pizza and some fruit juice or soft drinks and cupcakes and cookies decorated in Halloween theme. Then there is a magic show and costume contest which they really enjoy, finally when it’s time to leave everyone gets a goody bag with more treats and some Halloween themed favors. Best events to visit are the haunted attractions and costume parties. The village Halloween parade, where you can watch a sea of people in scary costumes dancing to Michael Jackson’s Thriller, It is a must see in our city. You can also take a spooky house tour to see how people have decorated their houses. thank u for the information about halloween! Very cute. Love it! Happy Halloween!